5. With the growth of e-commerce and omni-channel retailing, CMT inked a deal with Alibaba and Lazada in 2017 to connect shoppers online and offline. CEO Tony Tan shared CMT will launch an exclusive online mall on Lazada.sg where shoppers have the option to collect their purchases at a CapitaLand mall. At the moment, there are seven of these ‘Click-and-Collect’ lounges located inside the malls. 6. To attract shoppers, CMT also runs a loyalty programme app called CapitaStar which currently has over 850,000 members. The loyalty programme helps CMT to track customer spending and understand which products and shops are popular with shoppers. CMT also launched StarPay, a new mobile payment service used in conjunction with the CapitaStar app, that will allow shoppers to make payments at participating retailers at CapitaLand malls. For now, StarPay is only available at Raffles City Shopping Centre and only allows users to add the American Express CapitaCard. But deputy chairman Lim Ming Yan said that StarPay will eventually allow users to add various methods of payment (e.g. credit cards, NETS, PayLah, etc.) in the near future. 7. The CEO gave an update on the redevelopment of Funan mall — construction is progressing very well and is expected to complete in the second half of 2019. American co-working office operator, WeWork, will lease 40,000 square feet of office space and 40% of Funan’s retail net lettable area (NLA) is already pre-committed. In 2017, CMT divested the serviced residence component of Funan to Ascott Ltd (a fully-owned subsidiary of CapitaLand). Ascott will develop and operate the serviced residences which will be named lyf Funan Singapore. 8. A unitholder questioned why the local retail environment was so tough when he noted from the annual report that Singapore’s shopping centre floor space per capita was only 5.8 square feet of NLA. In contrast, Hong Kong and the U.S. have figures of 10.1 and 23.6 respectively. The CEO explained that Hong Kong sees 60 million visitors annually, compared to 17 million for Singapore. Along with its larger population, Hong Kong is able to absorb the higher supply of retail space. 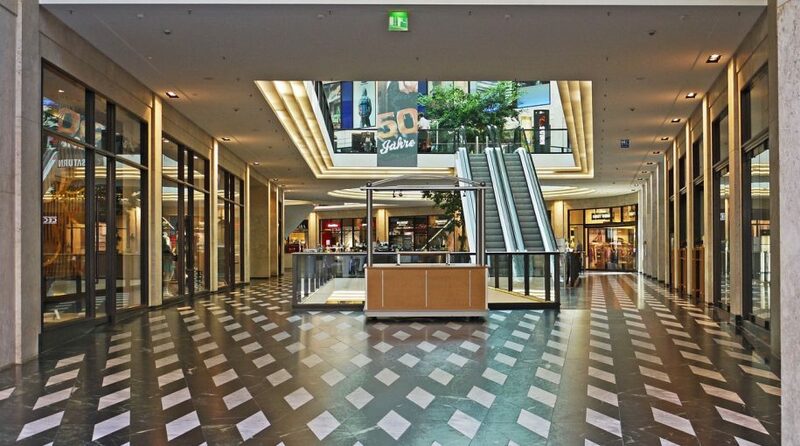 The U.S., on the other hand, is over-malled as seen by the mass closing of malls there. Chairman Adj. Professor Richard R. Magnus added that a higher NLA per capita does not automatically translate to higher revenue; it is more important that CMT continue to adapt to consumer tastes and provide shoppers with a reason to always visit its malls. This article has been republished with permission from The Fifth Person.